Let's play digital dress up and show off our avatar masterpieces to everyone. 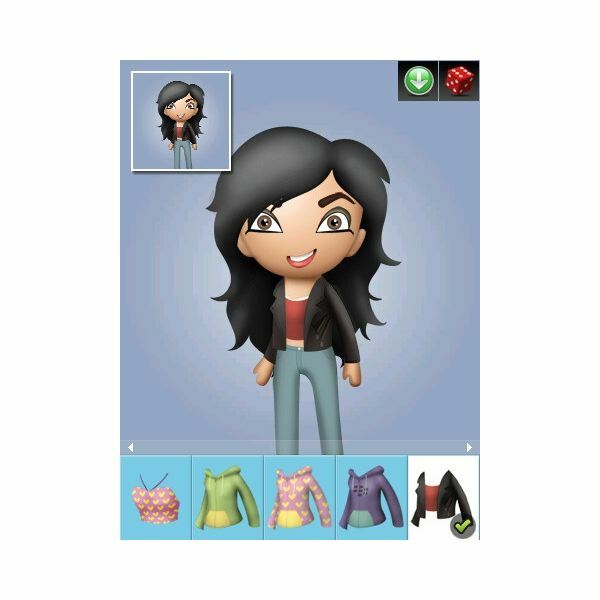 Here you can let friends and family see how creative you can be in customizing an avatar to not only resemble you but dress the way you do and accessorize with your favorite things. For me, my avatar will definitely be sporting some killer shades and my BlackBerry Torch in hand, since I never go anywhere without them. 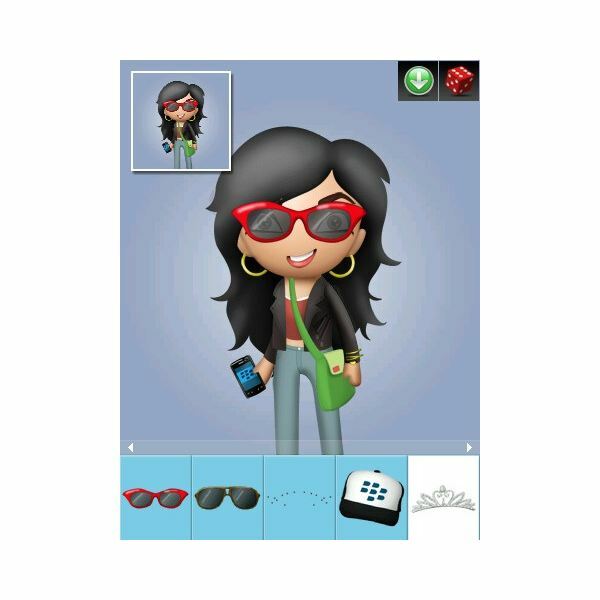 Run through this guide with me and see how you can easily create your personal BBM avatar to post on your profile. application already installed on your phone – now is a good time to get it up and running. 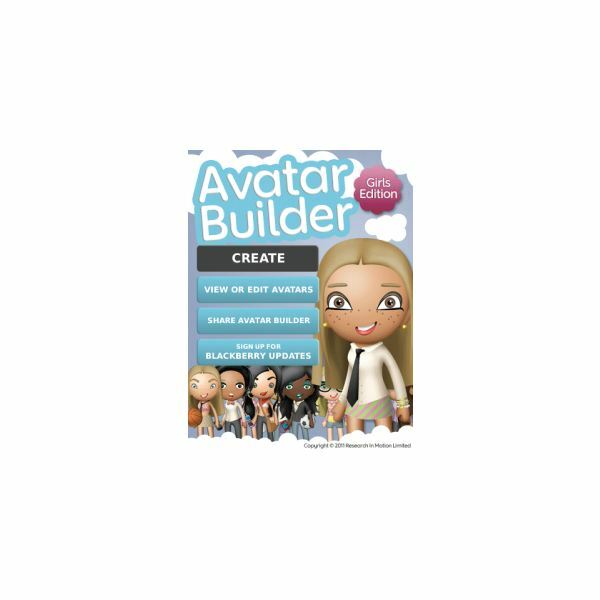 Search Avatar Builder and you will see Avatar Builder Girls Edition and Avatar Builder Guys Edition — both are FREE of cost. Select the desired version and click Download, agree to the terms and permissions and proceed — this process takes just about two minutes or less and instantly uploads the app’s icon on the home screen of the phone. our best look. Walk with me and learn how to create an avatar of yourself as I create one of my own. Note – To create your avatar simply scroll along the icons at the bottom of the screen and click on the appropriate pictures. For each item you select, click the Back Arrow where other icons to enhance your complete look will be displayed. The first step is selecting an avatar with a similar complexion; even though there are only five skin tones to choose from, I can still get a pretty close shade. Next on the list is the hairstyle – select the type and color. Then the eyes – select the shape and color. Eyebrows – select the shape and color. Mouth – select a cute pair of lips, smile, laugh, frown or even a tongue sticking out plus more. I'll just stick with a smile. Outfit (shirt/dress) – select whether you want your avatar to wear a dress or shirt, then choose the type and color. I'm more into tops and jeans so I'll just stick to that too. Bottom – If you didn’t choose a dress before, you can choose something to go with your shirt – select pants, shorts or skirt then the color and design. Congratulations you have completed your attire, now let's accessorize. jewelry, glasses, headphones or possibly a tie, hat, tiara or even freckles. Also, for each hand you can place an item of significance to you, e.g. for the right hand you can select from a list of BlackBerry phones, as well as a baseball bat, basket ball, camera, mug, golf bag, hockey stick or tennis racket. In the left hand, you can choose to adorn your avatar with a surfboard, roller skates, a soccer ball, football, camera, guitar, bag, or even a pet. Finally, to complete your masterpiece, you can set a background of your preference. There is a bit of a drawback with accessorizing your avatar, however, which is just annoying more than anything else. The app limits you as to how many accessories you can adorn the avatar with, so if you choose to wear a hat don’t even think of trying to accessorize with glasses and a necklace too, as you will be unable to do so. The same applies for other items on each part of your avatar, for instance each hand can only have one accessory so the left hand can’t be holding a camera and wearing a handbag together. 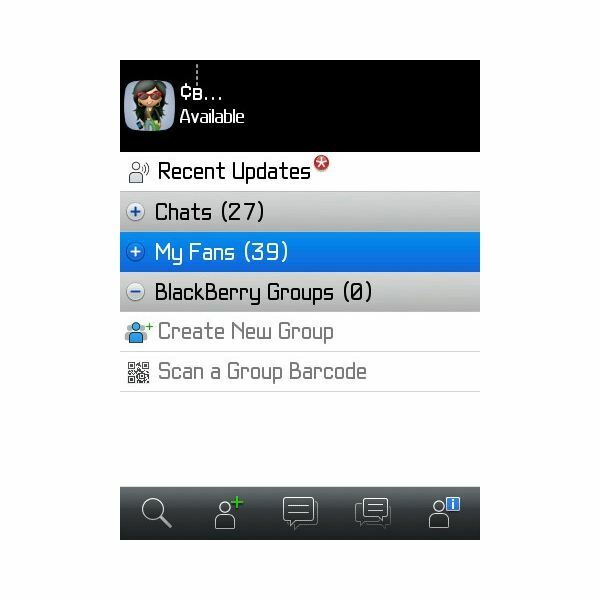 to Agree for the app to go to your BBM/MyProfile to set the avatar as a BBM profile picture. From experience, this doesn’t send the avatar directly to your BBM profile nor does it upload and replace the existing photo. When you are ready to upload your avatar, simply access your picture file the same way you would in BB Messenger, there you will see a thumbnail of your avatar – select, crop and save. Additionally, using the Avatar Builder application, you can share your avatar with friends on Twitter, Facebook and through email. Plus you can check out the reviews on BlackBerry App World, sign up for updates and download the other version of the application right from inside the app. Image Credit – Screenshots courtesy of the app developer and the author.